Mah-jong is not a difficult game to learn to play, but can be complicated in its rules and rituals. Maybe its greatest delight is that each set is different and beautiful in its own way, and there is an enormous variety of hands you can collect, each one unique in its charm. A game that is cheerfully competitive but never acrimonious, always enjoyable. This group meets fortnightly (alternating with Art Appreciation) at 9.45am in a member's home. This group first met in September 2006. 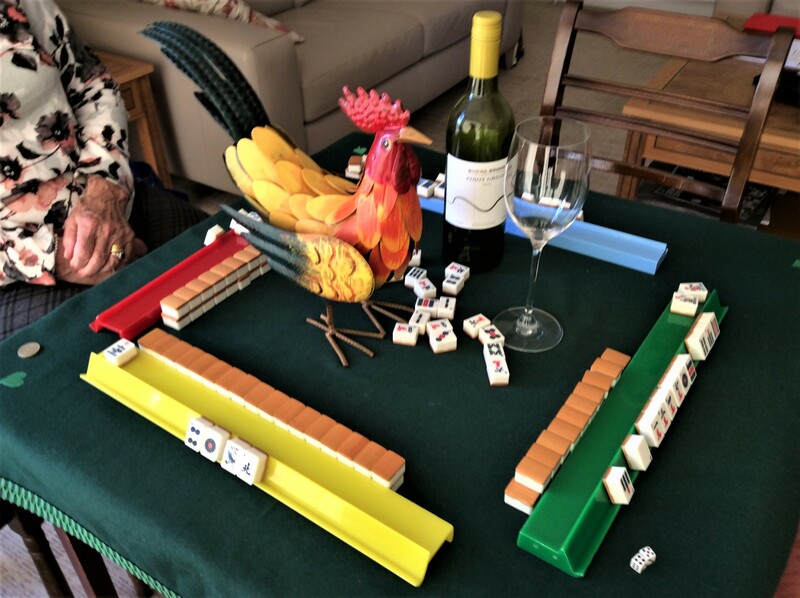 To start with we were a beginners Mah-jong group but some of our founder members have remained loyal and after all these years we are getting the hang of it! We meet very informally every two weeks. As this takes place in a member's home numbers are limited as 2 tables for 4 players each is about the maximum that can be accommodated, so the group is currently full. For more information contact our U3A's Groups Coordinator by email by clicking on the bluebird box on this page.